In 2013, clinical therapist Kim Jensen, LMFT, brought his 10-week experiential TraumaDrama program to OPI and OPI Intensive participants, as announced in this July 2013 article. Here, Jensen explains more about why this creative approach to healing from past trauma can be so highly effective. Experiential groups have long been proven effective for their ability to tap into the sensorimotor level of the memories of trauma and PTSD through role-play and improvisation. The therapeutic benefits of these experiential-based groups include symptom relief, emotional and physical integration of the self, personal growth and improvement of interpersonal skills and relationships. In TraumaDrama, participants are taught relaxation techniques and grounding exercises to aide them in effectively coping with the emotional and physical memories of the traumatic events that arise through the structured improvisations, exercises and role-plays. The gradual flooding of the triggering event through structured and supportive play allows the participant to normalize the survival process that occurred and author new narratives and meaningful responses to the memory of the traumatic event. Wilhem Reich’s experiential work with body tremors identified the neurology of how muscle tremors release the “fight or flight” response that naturally is triggered during stress or trauma and is often held unconsciously as muscle tension for years after the traumatic event. In utilizing Catherine Fitzmaurice’s de-structuring technique, an interpretation of Reich’s tremor work, participants are able to engage with the repressed somatic memory, allowing it to be released into a supportive environment that facilitates processing and healing. 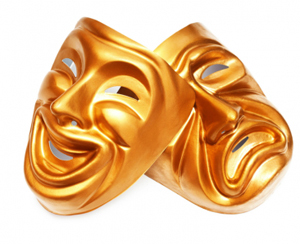 Drama and psychology have enjoyed a reciprocal relationship since the early 20th century through the work of Lee Strasberg and Fritz Perls, who are respectively known as the fathers of Method Acting and Gestalt Therapy. 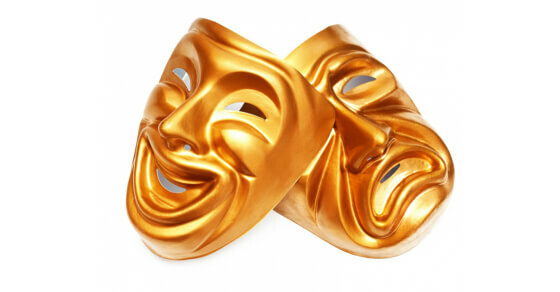 In acting, the actor uses personal history and imagination to bring about the psychological reality of the character and the given circumstances of the scene. Strasberg utilized “sense memory” and “emotional recall” to aid the actor in bringing about a psychological truth to the character’s reality. With experiential-based therapy, such as Gestalt’s “empty chair” exercise, the client utilizes the subconscious and imagination to explore their unfinished business by bringing the subconscious into the here and now.